USDCAD was on quite a thrill ride yesterday, dropping nearly 1% before recovering. Market participant’s interpretation of the policy bias sparked much of the volatility in the market. Despite the confusion about the policy stance, our takeaway from the event was that the BoC reinforced its dovish bias introduced at the prior meeting. This rests on our view that the details of the MPR were a firm downgrade from the July report. For USDCAD, we think this enhances the 1.30 floor, and we think dips will remain brief. We keep our sights on another stab at 1.33 but doubt this level will continue to hold. Our view stems from the fact that in the context of the export puzzle, CAD strength is self-defeating against the need for economic rebalancing. 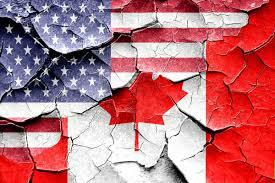 Firmer oil prices could limit USDCAD upside, but in light of CAD’s impact on the BoC’s policy efforts, we think the risks to the pair are now heavily skewed to the upside.